This mini collection was originally part of the Knit Camp 2018 Collection, now available as a mini collection of its own. 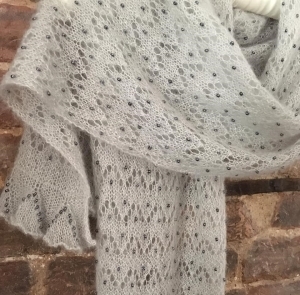 There is a chunky throw and matching blanket, both with bobbled edges, a beaded Kidsilk Haze Wrap, and an aran circular scarf. Approx. 1,200 beads, size 6.